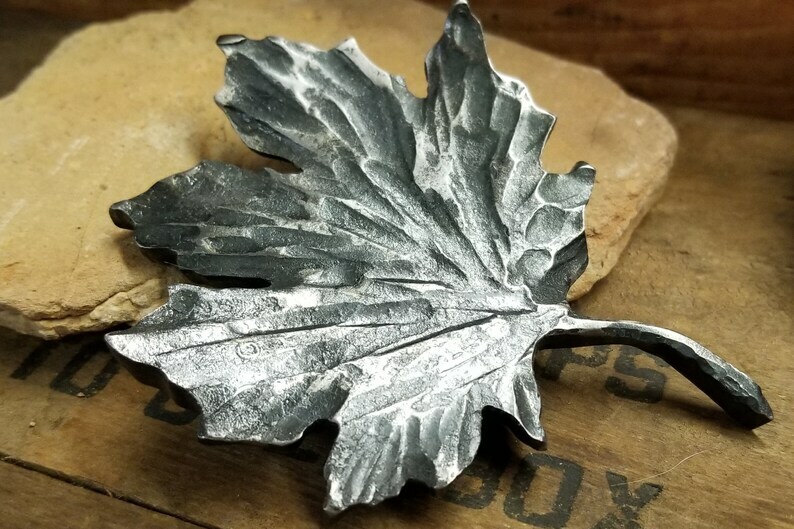 This is a rugged hammered wrought iron maple leaf that can be used as a paperweight or small sculpture. Each leaf is individually forged and will vary slightly from the photo. It fits perfectly in the palm. Your guests will want to touch it often. Steel is a very "green" material. Even when you buy new steel, it has likely been made from recycled steel, perhaps recycled many times over. All purchases are shipped by US mail.